Sunday was a spectacular day for a drive down Skyline Drive. 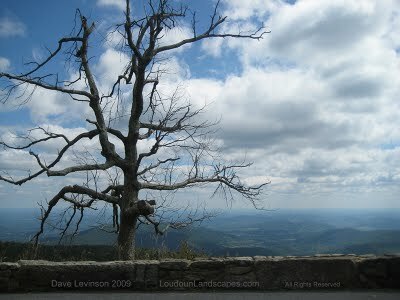 The sky was filled with large white clouds that sometimes blanketed the tops of nearby mountain tops. Distant green pastures could be seen with sun spots and shadow stripes racing across them. It's good to be alive was that day's theme. Dark Hollow Falls is barely north of the Big Meadow campground on Skyline. 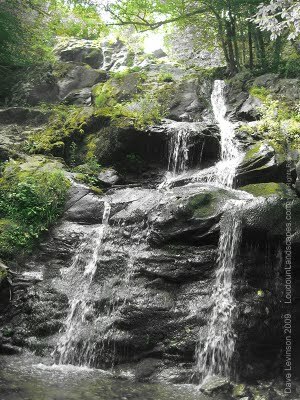 A leisurely one mile stroll will place you hear at falls bottom. This photo was taken in black and white with a color filter enabled. Only green components in the shot retained color, all else did not. 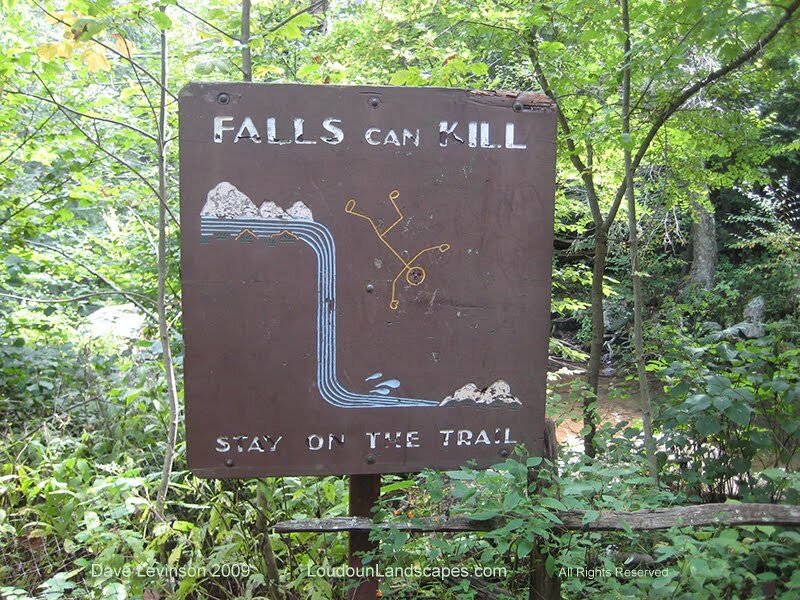 In case you were wondering, falls can kill. 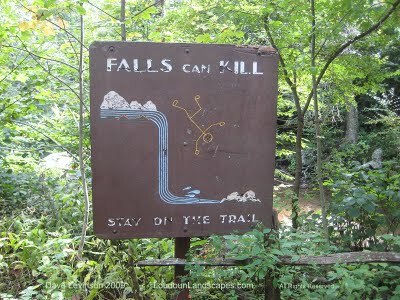 A Park Service friendly warning, with a stick figure falling to its death.